Early on in our marriage my husband noticed a pattern in my behavior. He saw it and then he called me out on it. I would be in a great mood while we were hanging out with friends, I would smile and be cheerful, I was extremely pleasant to be around. Then the moment we get into the car or get back home, my mood would suddenly switch to irritation, frustration, or even anger. My face would turn sour as I complained about this or that, morphing into a completely different person. Why do our friends and family get your best and I don’t? I had to consider his comment. I wanted to fight back with words that would prove him wrong…except I couldn’t because he was right. I gave my best to everyone else and not him. Perhaps I believed I was safe with him to be the real me, as if my attitude or behavior could never make him leave me. He was stuck and I was safe. Although my husband wanted me to have the freedom to be the real me, he also wanted to enjoy being around me. He desired my best for the sake of our relationship. And I don’t think he liked seeing me switch to an irritated version of myself so quickly and often times wondered what he did to offend me, when it wasn’t necessarily him at all. I admitted to him that I do want people to like me, so even if I don’t feel good or am wrestling with something, I tend to hide it. I don’t want to push anyone way with being annoying or overly dramatic. But I was also listening to him as he called out my behavior and explained how it hurt him and how what I was doing was actually making me less attractive to him, my best friend, my husband. 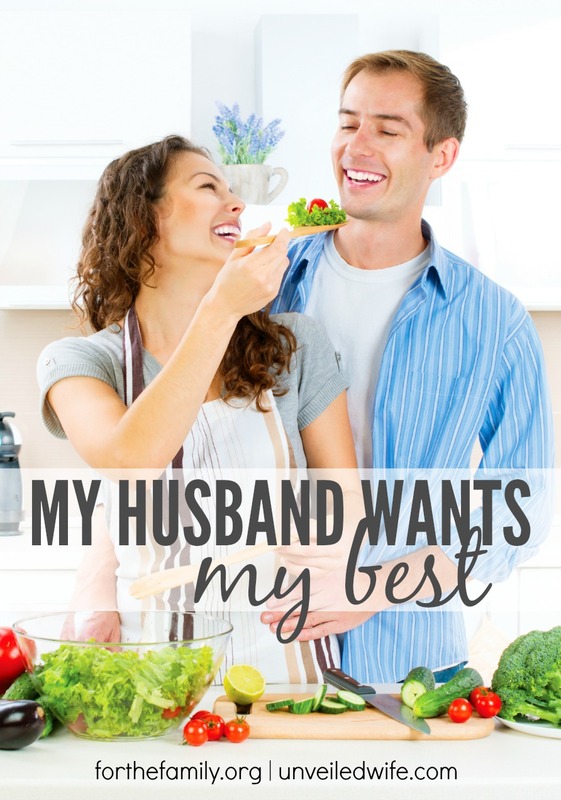 Have you ever realized that you give everyone else but your spouse the best of you? Maybe you dress up for others and not your spouse, perhaps you talk sweeter and more kind to others, or maybe your overall level of happiness changes once you are alone with your spouse. I didn’t know I was doing this until my husband mentioned it. Since then I have been more intentional about making sure my husband gets my best. That he gets to hear me speak kindly to him, that he gets the pleasure of seeing me dress up for a date with him, that he knows he makes me happy. May this challenge you to evaluate if you give your spouse your best or if you rely on the commitment of marriage as a safety net to let loose so much that you have no regard for your spouse’s feelings at all. I believe this is important to address and I know I am not the only one who has struggled with it! 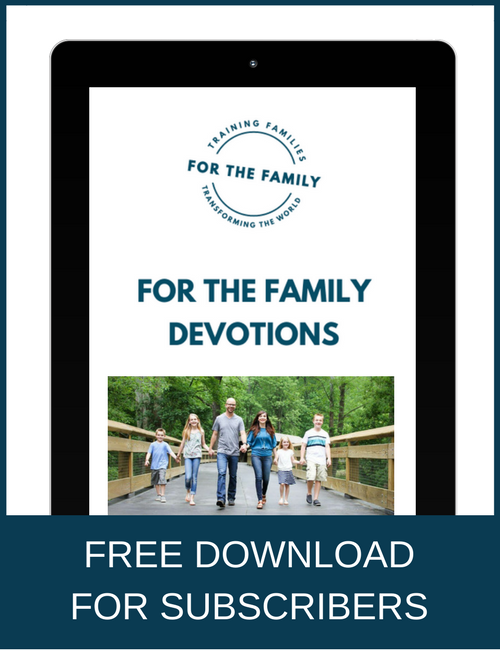 « Moms, help is finally here for us….and I hope you LOVE it! My husband has called me out on this very topic multiple times, and rightfully so. I am such a people person/pleaser and I have/had the same thoughts that marriage and home were the places I could be myself. BUT the myself, should ALWAYS be my best because of Christ in me, no matter whom I am with, especially for my husband. My husband should be my best witness to Christ in me, not my least. Praying daily that God will change me to be my best for all to see, especially my husband! Jennnnnnn!!!! I can’t tell you how much I needed this!!! I am struggling with this exact same thing in my marriage. I mean the exact same thing. My husband and I just talked about this last night. I know I need to do better. I have a wonderful husband and I need to treat him as such. Thank you Jennifer for the eye opener and letting me see I’m not alone in my struggle. I wish we could talk over a glass of wine. I’ve noticed this in my behavior to my entire family. At work I’m easy going, friendly, almost always in a good mood. At home, everything irritates me, I’m gruff and just generally my worst self. I think it does come from being comfortable but that doesn’t make it okay. The first step is admitting you have a problem but man I wish it was a quick fix. I could use help in this area for sure. THANK YOU FOR POSTING THIS! Was exactly what I needed to hear! My husband and I have had the Aexact same conversation!!!! Okay, I get the be nice, talk nice to your husband like any other friends, but… Where do I put my uglies? ie. frustration, complaints, etc. For some reason I still feel like my bad feelings need attention/validation. What do people do? Who do they tell? 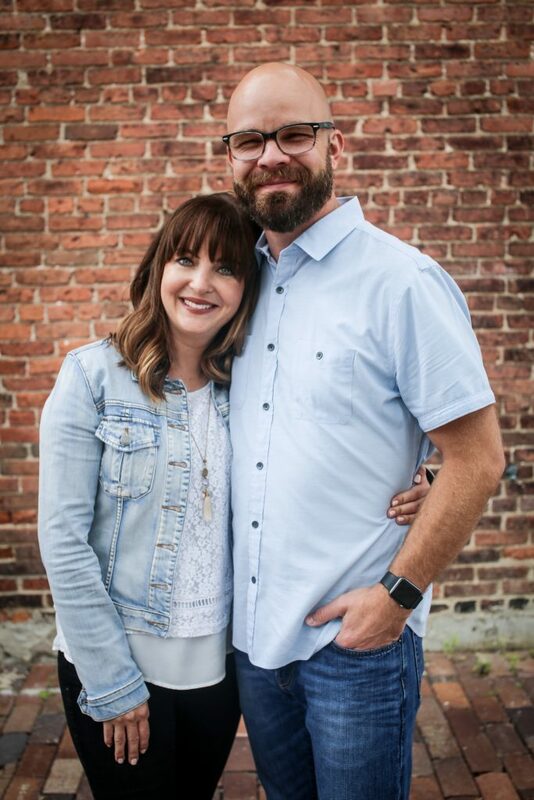 My husband has called me out on this very same thing so I loved this article. As far as what you’re asking, I think it’s still important to share our hurts and frustrations with our spouses but be careful the tone and attitude with which we do. My husband understands that sometimes I need to vent but he has asked me to be vulnerable and gentle in the way that I do. Because, at least for me, a lot of times I just totally unleash on him and get to the point where I’m yelling. Or if it’s not about a frustration but just something directed at him, I might be talking like I don’t even like him. If I was confronting someone else about a frustration or something they did that bothered me, I wouldn’t be ranting and talking disrespectfully toward them. Hope this helps. Keep telling your hubby, but be aare of how you do. I know that the more often I come to mine and share my burdens, he wants to listen and help me if he can or just hug me, but if I come all gruff and upset, it just results in stress for both of us. Another thing I’m trying to remember, and it’s amazing that this is easier said than done sometimes, is to take my burdens to Christ first. He’s the only one who can relieve the pain/frustration in a real way. Blessings to you! I feel like this article is perfect for my husband(meaning it applies to him). My husband knows my love for GOD and my desire never to disappoint him in something I chose to do. So I won’t leave him. Yet, I often feel the same way as your husband. Like he goes out of his way to please others but he doesn’t care to do the same for me. He doesn’t care to do anything that would make me happy unless it involves him–if that makes sense. Unfortunately, telling him this doesn’t help because he won’t hear anything I tell him. Perhaps leaving is an option after all because I recognize living a life that is constantly devaluing yourself isn’t what I wanted. Christina, Jesus lived a life like that too. You are the one setting the good example. You are where God wants you to be. Marriage is sacred, yet hard sometimes. Pray! I would spend alot of time in prayer (been in similar shoes) about your own tone & actions as well as your husbands heart to hear you when God tells you it is the right time to “speak.” This is not easy, but the result can be remarkable. Men don’t want to be nagged & we as women can be great at that…not so much in our words, but in our tone & body language which those two pieces of communucation are like 85% of what we communicate compared to the 15% that are our actual words. I promise you thisif you ommit to pray daily for yourself & your spouse (& your children if you have them), God will do a work, but ya gotta look closely for it starts just like the little shoot just sprouting…if we aren’t looking, we could squash it! There are some great 31 day prayer guides out there. This post really spoke to me, however, my husband really is the source of my irritation. I work with children all day then come home to a 24 year old child who demands constant attention (I literally can’t cook dinner without him driving me insane. ) We both believe he has a mild firm of autism but he refuses to seek help. We’ve only been married a few months and I already have no attraction to him whatsoever. I see him as a child. I will still try to give him my best, but a woman only has so much patience. Some times it’s the other way around. Thanks for sharing. I do the exact same thing to my husband and he has called me on it. God has been doing a lot of work in my life regarding my relationship with my husband. This is an area I need to work on. It is so nice to hear that others struggle with the same things in life and I’m not alone. Thanks again. I’m going into the third year of our marriage and I can relate with the different sides of the coin which is how I am with my husband and others…like right now. but often this is in response to my own husband behavior and disregard for me and my feelings. He will be hurtful and refuse to discuss what has hurt me or even acknowledge it. He lives with the view that he has a safety net in the marriage so he can have disregard of my feeling and our priorities as a family …he will often choose a night out clubbing instead of spending time with ME or the kids. I get angry upset and irritated with him. So I ignore him or give him one word answers until the issue is addressed which also never happens because he lives in a bubble where everthing sorts itself out. Am I wrong? yes. I don’t know how to forgive easily and look past the hurt and his shortcomings. Girl, you are ONE BLESSED LADY if your husband listens to you enough and cares about you enough to make that statement to you. If he didn’t care, he would not have bothered mentioning anything and would have ignored you. But he didn’t. Your husband’s statement indicated two things – 1) Again, he loves you, and 2) His observation(s) can challenge you to be a better person. Believe me, you are blessed. am not married but i noticed it in so many people and even myself. i pray God help us to relate with everybody freely . OUCH! Guilty. I’ll be praying about this tonight. My fiance has told me this and I actually realized he was right about 2 weeks ago… While I dress up and try to plan special dates, I am usually tired or distracted by my work or family responsibilities. This was just affirmation that I am not along and that I need to pray and make it a special focus, because he too is my best friend. I never want him to feel that he isn’t getting the best of me. Thank you for writing on this.